VUE is a short video editing app which is a must-have for people who love shooting and sharing videos on their social media. Its color scheme is simple and bright. And when you browse its Start page for the first time, a new user guide instruction will pop out. And in Mockplus, that can be easily added by creating a new page or adopting a Popup Panel component. And then, when you are recording a video with it, after clicking a Start button there, a video progress bar will show up. And this video progress bar can be easily approached with simple three steps. Firstly, drag a Shape component to canvas and change its original width to a minimum size. And then, set a “Resize” command for this Shape component and adjust its “widen” as you wish. And at last, also add a longer duration for it so that this video progress bar will move forward slowly after you click the Start button there. 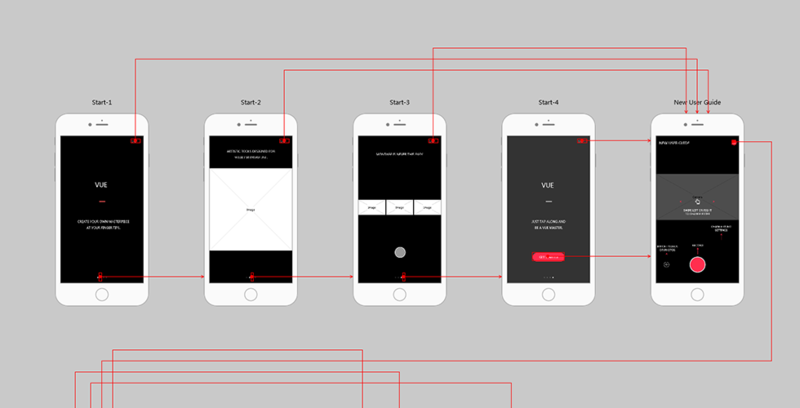 Pages of this prototype: Start, Home, Detail and Featured Videos, etc.